Over the last fifty years, humanity has developed an extraordinary shared utility: the Global Positioning System. Omnipresent, free, and available to all, GPS powers everything from your phone to the Internet to the Mars Rover. 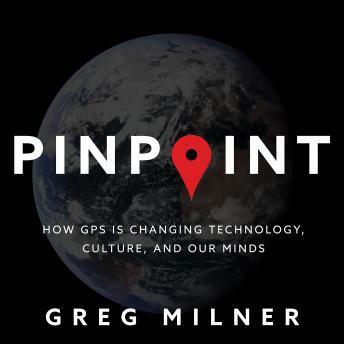 Greg Milner tells the sweeping story of GPS, from its conceptual origins as a bomb guidance system to its present ubiquity. While GPS has revolutionized methods of timekeeping, navigation, and seismological prediction, it has also altered human behavior, introducing phenomena such as 'Death by GPS,' in which drivers blindly follow their devices into deserts, lakes, and impassable mountains. Milner also shows the desperate vulnerabilities in the system we now use to predict the weather, track prisoners, and land airplanes. Delving into the neuroscience of cognitive maps and spatial recognition, Milner's inventive and timely book is at once a grand history of the scientific urge toward precision and perfection and a revelatory philosophy of how humans understand themselves in the world.